As teachers are tasked with aligning their curriculum to the Common Core State Standards, many teachers have questions about the role of literature and the use of fiction versus non-fiction works. 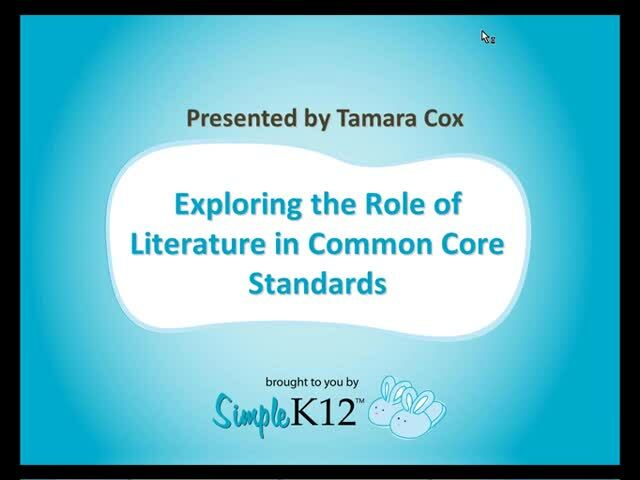 This webinar will review the Common Core method for evaluating books, and will provide some recommended titles as well as methods for staying current on new literature. 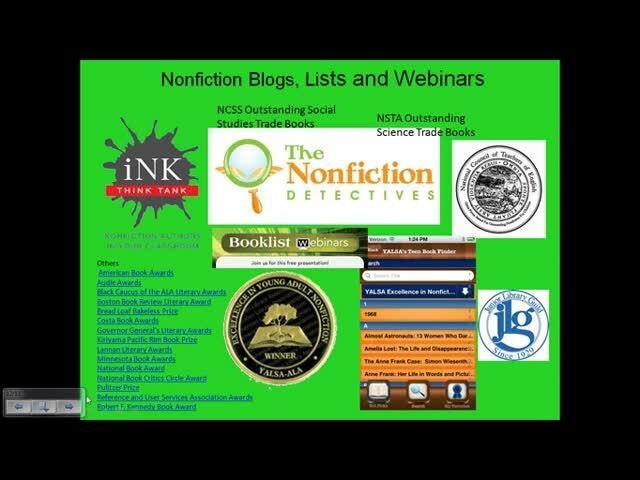 Join Tamara Cox and Kristen Hearne as they help you understand the emphasis on nonfiction and share strategies for integrating informational text into your classroom and promoting nonfiction to your students. Wow, lots of ideas. 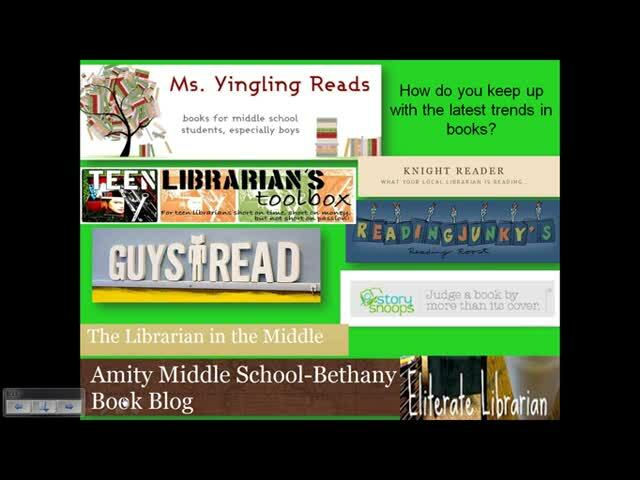 Interesting strategies for integrating informational text into your classroom. Great information and a little heartbreaking about the students who are truly not ready for college...fantastic ideas for working that much harder to help my own students be better prepared. This video was informative about how to teach students to develop strategies for understanding how and what they are reading. Provided lot of ideas. Talked about how most students entering college today are not prepared because they can not read. 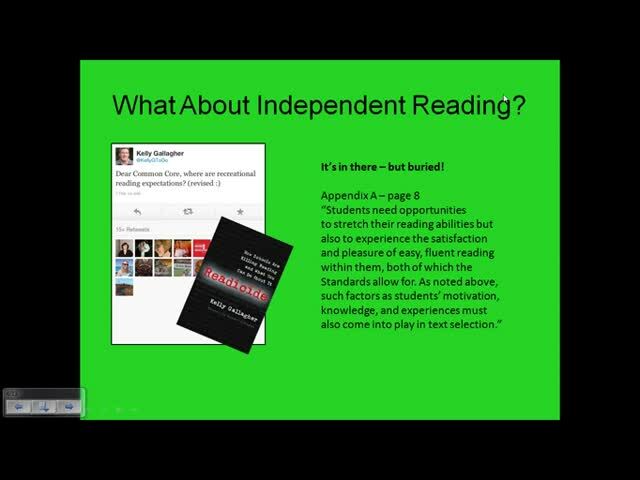 Start lower on the lexile level and build to the required level for the grade you are teaching. 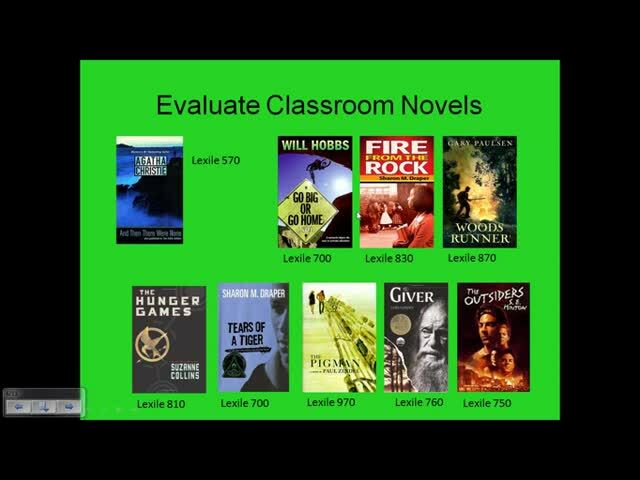 For sixth grade: old level: 860-1010, now with common core the lexile level is: 995-1115. There is this Diigo.com program about annotations I am going to explore. Great explanation of the new 3 part model for text complexity, and a great reminder why informational text is important for our student's future.